The decision to start a family is one of the most important choices a person can make. It is also a fundamental human right; only individual adults should have the power to decide whether, when, or how often to conceive. And yet, for millions of people around the world, this right remains unrealized. More than 200 million women in developing countries who want to delay or avoid pregnancy are not using modern contraception. Women who are poor, less educated, or live in rural areas can face significant economic, cultural, and institutional barriers to birth control, and often turn to dangerous forms of pregnancy prevention out of desperation. If women had universal access to voluntary family-planning information and services, maternal deaths could be reduced by as much as three-quarters and infant deaths by as much as a fifth. But family planning does more than save lives; it also saves money. For every dollar invested in reproductive health services, $2.20 is saved in pregnancy-related health-care costs. Moreover, the longer a woman waits to have children, the longer she can participate in the paid labor force, thereby boosting the economic health and prosperity of poor communities. Some governments have already recognized these benefits and are allocating funds accordingly. In Thailand, for example, the Ministry of Health has increased its family-planning budget on the grounds that the added spending now will reduce health-care costs later. The Thai authorities’ assessment is correct; when developing countries make investments that empower young people to start a family only when they are ready, birth rates fall and the share of the working-age population increases relative to the dependent population. These so-called “demographic dividends” are forecast to be particularly high for countries in Sub-Saharan Africa, where roughly a third of the population is between the ages of ten and 24. Still, despite the many advantages associated with family-planning services, too many countries continue to underfund this vital portion of their health-care systems. The Reproductive Health Supplies Coalition, a global research and advocacy group, estimates that developing countries face a $793 million funding gap for contraception supplies over the next three years. For poor women in particular, government-funded services are often the only option for safe and effective family-planning solutions. When public programs are not available, the ability to plan for a family is weakened and the rate of unintended pregnancies increases. Investment in human capital, when accompanied by sound economic policies and robust labor markets, produces significant gains for developing economies. Fully funding the family-planning needs of poor countries would lift millions out of poverty, improve rates of educational attainment, and help close the gender pay gap in the Global South. 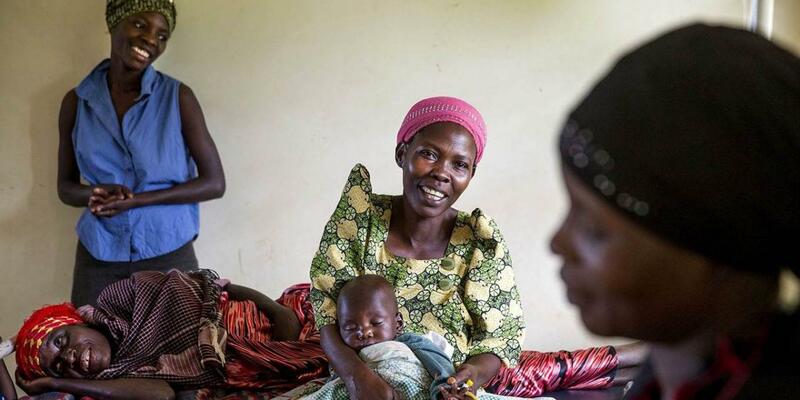 For these and many other reasons, the United Nations Population Fund (UNFPA) is fully committed to supporting countries’ efforts to uphold the right of individuals – and especially women – to choose whether and when to have children. By 2030, UNFPA aims to ensure that women everywhere can access family-planning services without fear of consequence or cost. But we cannot do this alone. Leaders in government, the private sector, and civil society must join us in working toward this ambitious goal. Developed countries could solve the global family-planning funding shortfall for a mere 20 cents per person per year, a bargain given the projected returns for individuals, families, and economies. In addition to increased spending, new policies, laws, and implementation of existing regulations will be needed to help protect women and to empower young couples. Efforts to broaden access to family-planning services and care are not new. Fifty years ago, at the International Conference on Human Rights held in Tehran, the global community declared that “parents have a basic human right to determine freely and responsibly the number and the spacing of their children.” At the time, that idea was visionary; we now know that realizing it is a condition of successful development.